I love to try new foods or ingredients when doing grocery shopping. It is such a mood up lifter for me 🙂 Maybe it’s just me but I get excited to check out a Farmers Markets or a new grocery store! Last month I happened to try a dish with Harissa Sauce. The flavors were amazing and just stayed me! It is such a versatile sauce from Tunisia. It can be seen in Moroccan/Mediterranean recipes a lot. 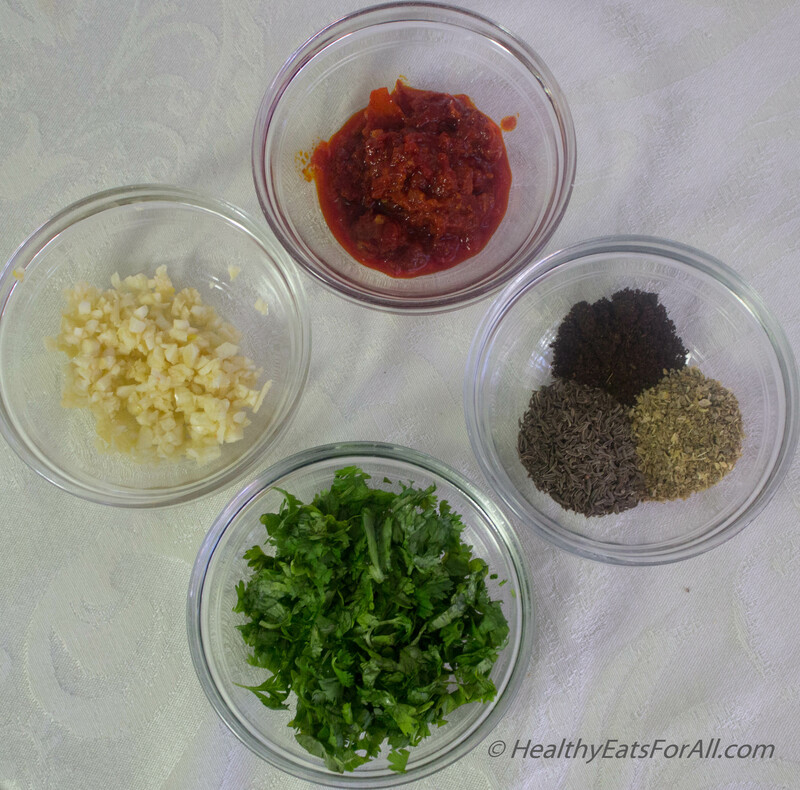 It can be used as a base in soups/stews, rub for meats, to roast veggies, flavor up mayo etc. It can give a bold new flavor to an old recipe, kick it up a notch 🙂 These days pretty much all regular grocery stores carry this sauce in their Middle Eastern section, so it should not be a problem locating it. Depending upon the brand the spiciness will vary. So I started exploring and experimenting different recipes using this sauce. 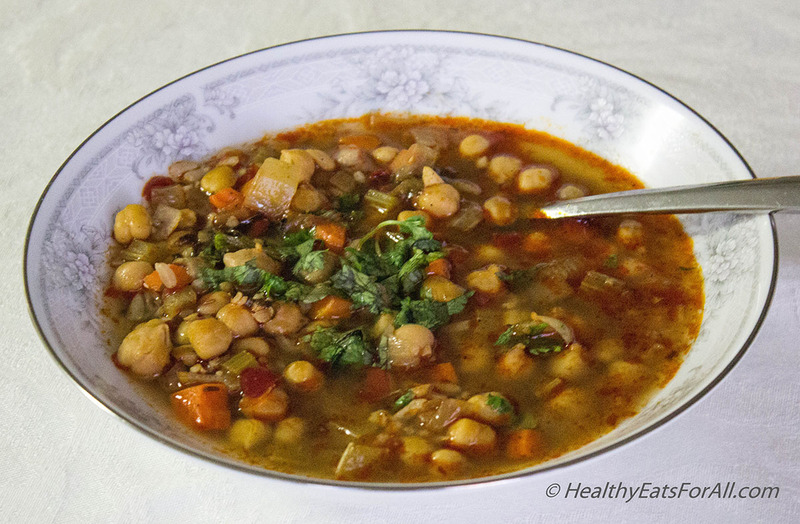 One of the recipes that stood out was a spicy soup using chickpeas and plenty of veggies. It was a spicy soup recipe from 101cookbooks. I have modified the original recipe. People from India can probably relate to this dish instantly, as it resembles a popular North Indian dish Chole Chawal (chickpea curry with rice)! But what I liked upon going over the recipe was that this could be a complete meal in itself with less effort. It had beans, grains and tons of veggies along with beautiful, unique flavors! Not only is the sauce versatile, this recipe is very versatile also. 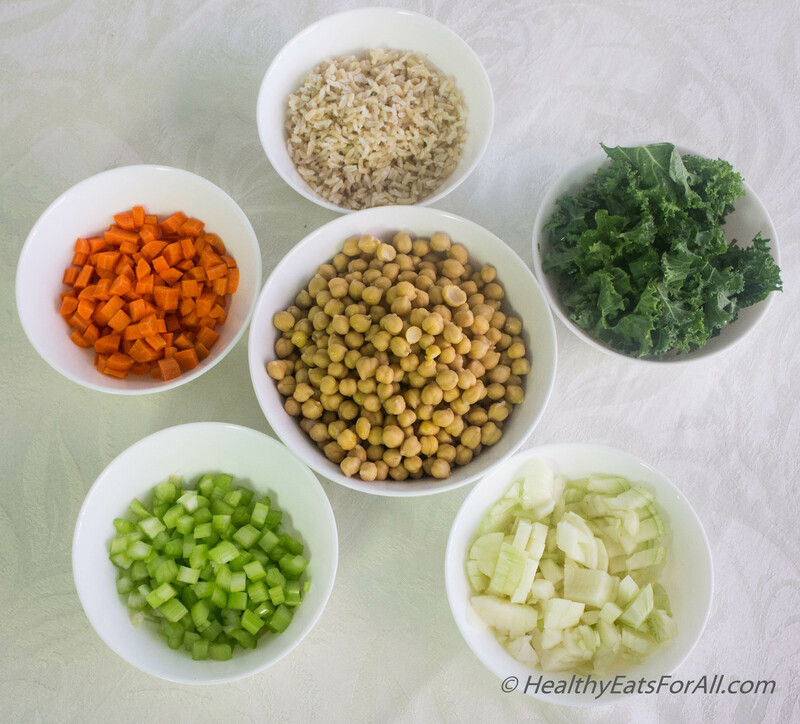 You can substitute whichever grain you have in your pantry or cooked already in your fridge. 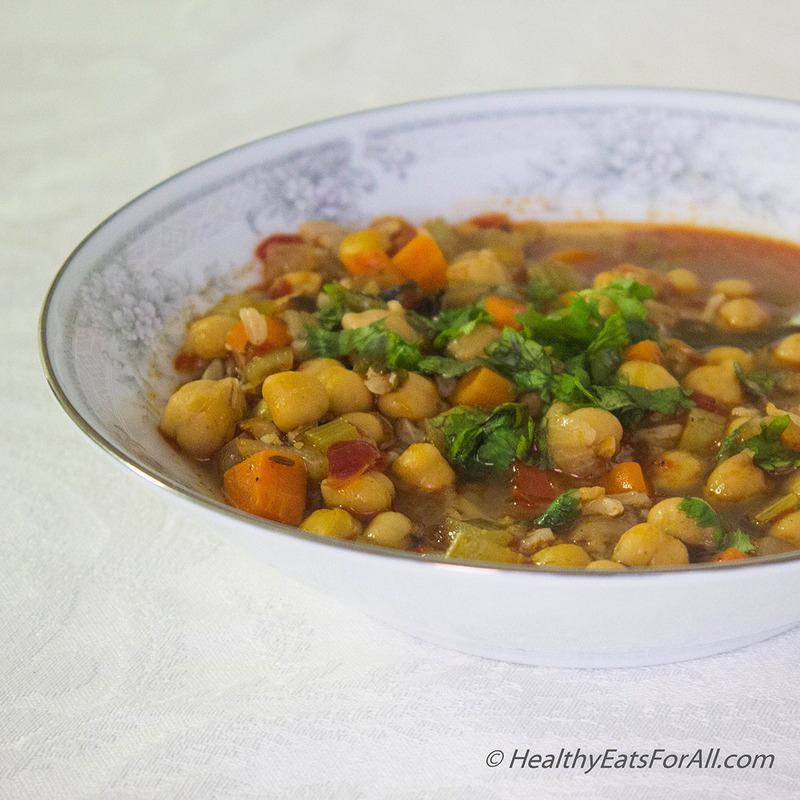 If you happen to use canned beans then it can be a meal ready within 30-40 minute! Today I happened to have brown rice already cooked in my fridge, so I just used that in the dish. Feel free to add any other veggies that you would like also. In case you feel the need to temper the spiciness of the dish you can either reduce the quantity of Harissa sauce or if you are not vegan add a dollop of Greek yogurt/Sour cream on top! Enjoy it warm with a nice slice of rusty bread or roasted potatoes or as it is. 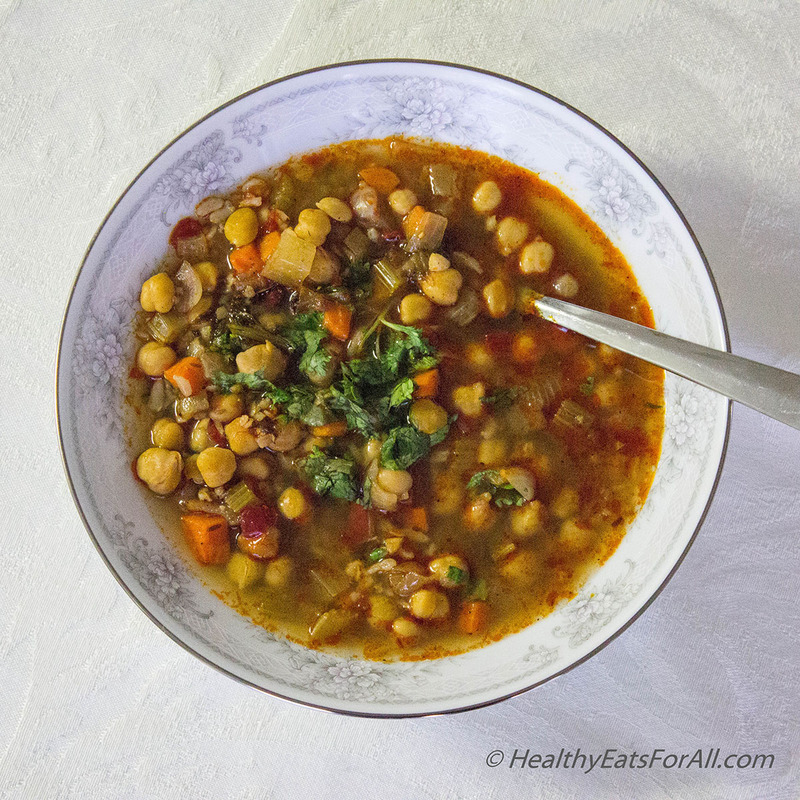 Not only is this hearty soup perfect for these cold dreary evenings, but is also a nutrition powerhouse! If you already have a grain pre-cooked, excellent. Otherwise start cooking whatever grain you have chosen. Warm a deep pan. Add the olive oil to it. When oil is heated at medium heat, add the onions and let it cook till their edges start turning slightly brown. It should not take more than 3-4 minutes. 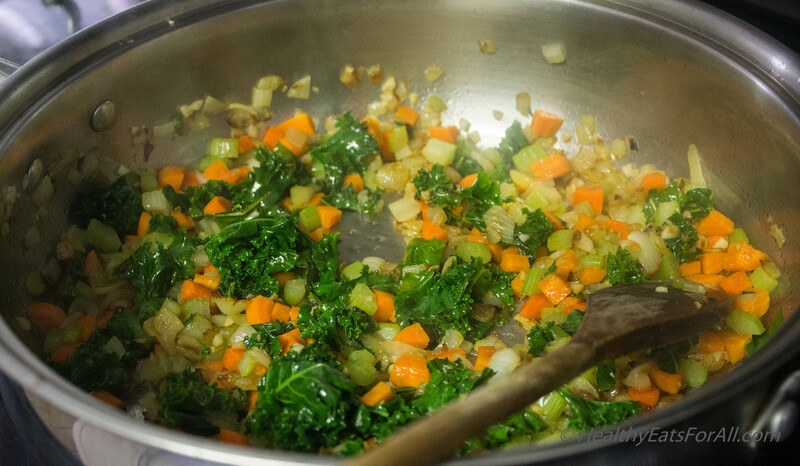 Add the garlic, carrots, celery and kale. Cook till they soften up for another 2-3 minutes. Then add the sauce and all the seasonings. Cook for 1-2 minutes. 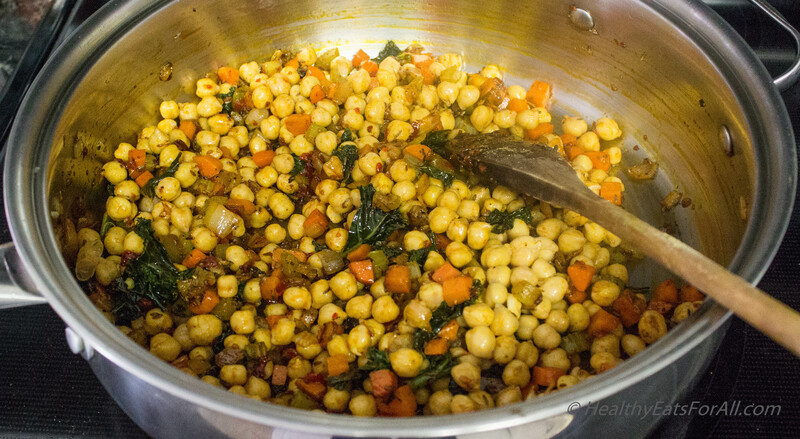 Then add the chick peas and stir well. Leave for about 1-2 minutes. Then add the water. Bring to a boil and reduce it to simmer for 10-15 minutes with a lid. Then add the cooked grain. In this instance I had brown rice already cooked, so I added that. Let it simmer for another 1-2 minutes. Garnish with cilantro and its ready to eat!